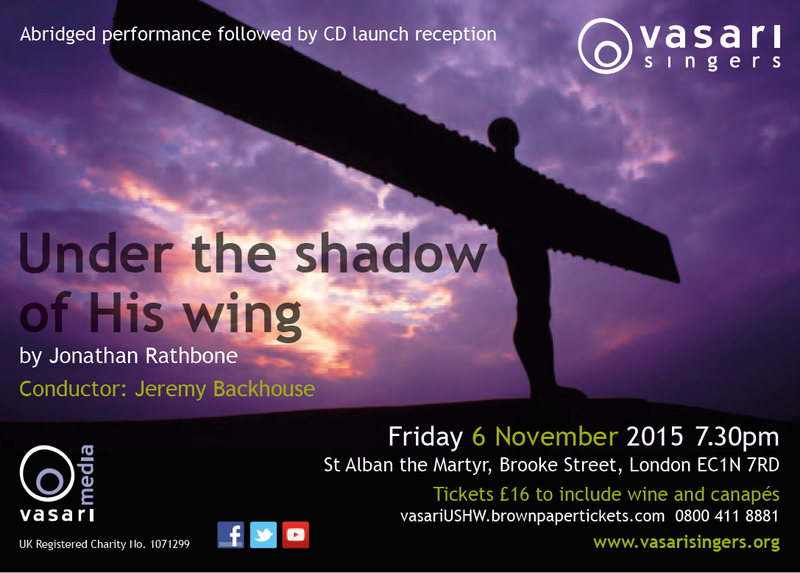 Jeremy Backhouse and the Vasari Singers are celebrating the launch of a new CD on the choir's own label on 6 November 2015. At St Alban's Church, Holborn the choir will be performing part of Jonathan Rathbone's Under the shadow of his wing which the choir commissioned and premiered. Rathbone was for a long time director of the Swingle Singers and you can read my interview with him on this blog. This will be a chance to hear a further performance of part of Rathbone's work and CD's will be available. Further information from the Vasari Singers website.